Published: Feb 17, 2019 - Modified: Apr 18, 2019 - by Chef Rodney - Leave a Comment - This post contains Ads & Affiliate Links. These Lemon Cookies quickly became a hit with everyone. 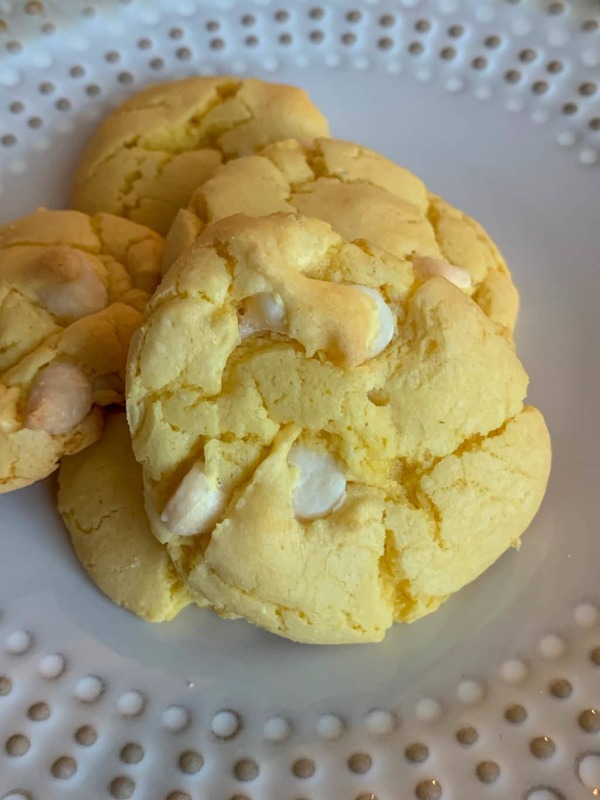 I was hoping that making a batch of that making a batch of these delicious cookies would at least last me a couple of days but it appears they are so good, that my guests ate them all in one sitting! What is really nice about these cookies is that the lemon is not overpowering. 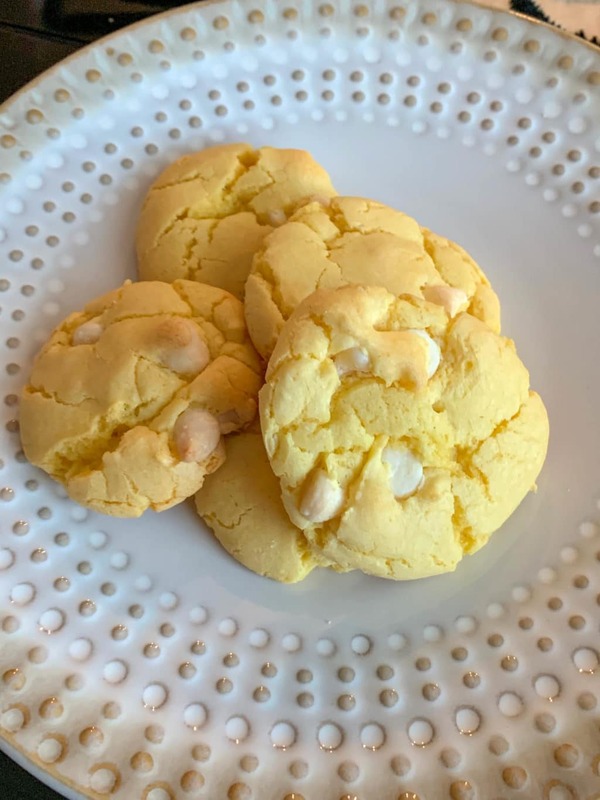 That being said, if you do want these cookies to have a little more of a lemony flavor, you can either add a little more lemon juice or a bit of lemon extract. Adding more lemon juice might alter the consistency of these cookies so you will need to experiment a bit to find the right balance. In a large mixing bowl add the cake mix, flour and baking powder. Mix well. Add the eggs and oil and mix until well incorporated. The dough should be stiff. Fold in the white chocolate chips. Add the lemon juice and mix. Roll a tablespoon of batter in your hand and place on the baking sheet. Bake for approximately 13 minutes. If you bake the cookies too long, the white chips will turn brown. Let cool on cookie sheet for 5 minutes before transferring to a wire rack to cool completely.